It seems the Doctor has left something on our planet, so it gives us a chance to use it as a part of our rainy day outfit. If you like the idea, let’s go on checking the Seventh Doctor Who’s umbrella. This is an officially licensed and pretty cool umbrella themed by British sci-fi TV seres Doctor Who. 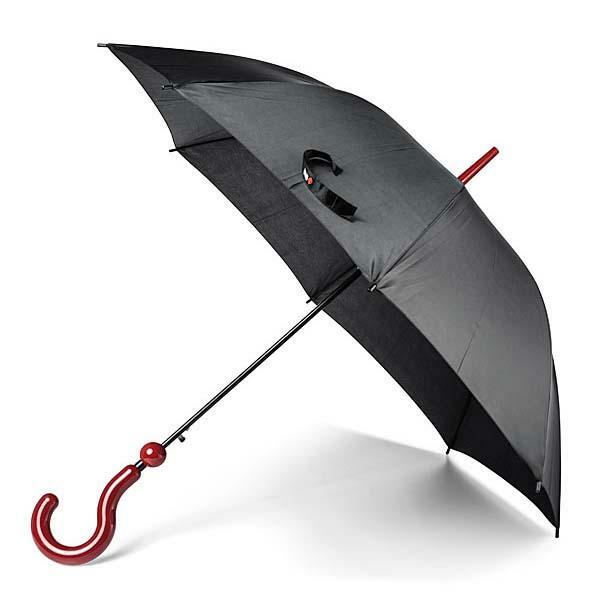 The umbrella measures 37 inches long by .38″ diameter, and as shown in the images, it’s designed based the iconic question mark umbrella that belongs to the Seventh Doctor in the TV series, so the umbrella features a red question mark-shaped handle in order to help you take the first step toward becoming the Doctor. 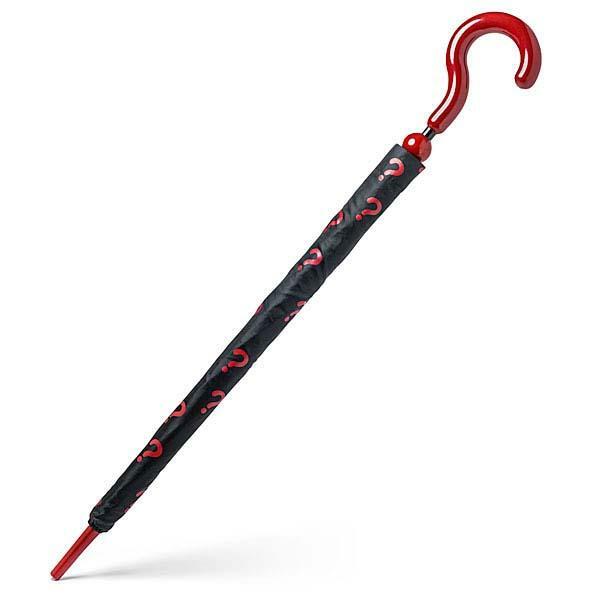 Moreover, the Doctor’s umbrella is made with metal, fiberglass ribbing and polyester fabric, and it comes with a bonus black cover wrap with red question marks. The Seven Doctor Who’s umbrella will set you back $34.99 USD. If you’re interested, jump to ThinkGeek for more details. BTW, also don’t miss Kisha smart umbrella and more via following tags.